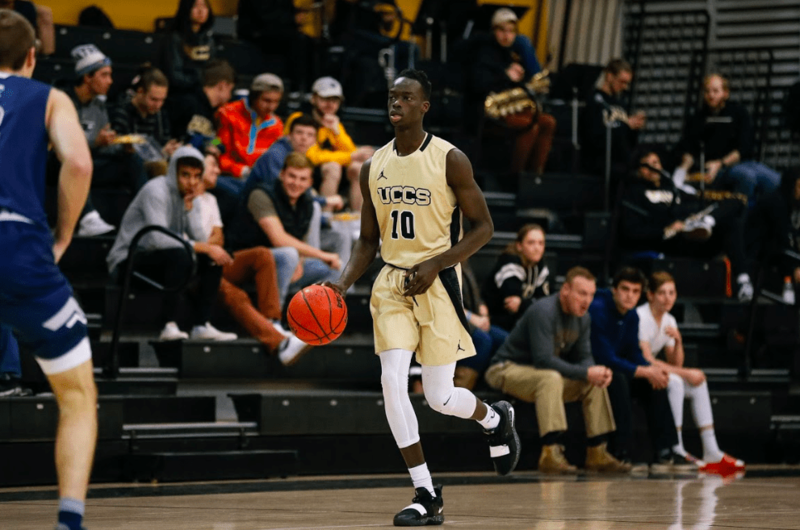 After winning Defensive Player of the Week by the Rocky Mountain Athletic Conference (RMAC) in November, junior account major and guard Padient Wang was chosen on second time on Jan. 7. This year is not Wang’s first time receiving honors. In the 2017-18 season, he was given an RMAC Honorable Mention and made the conference All-Academic Honor Roll. So far in the 2018-19 season, Wang leads the RMAC in total steals, averaging 2.5 per game. He is the second highest scorer for UCCS, so far shooting for 55.3 percent, and one of only two players to have started all games. at the time of press numbering 15. The other player is Brandon Malone, a redshirt senior who also plays guard. Wang credits these successes to hard work. “Working hard every game, it shows,” he said. Time management has been a part of Wang’s success. Wang credits his brother for inspiring him to play basketball, even as a kid. “But if nothing else happens,” he said, “I’ll probably be an accountant.